If you need to refund a customer’s credit card directly without referring to a previous Stay or Sale transaction record, you may process a Non-Reference Refund. Note: Only Terminal User logins who are “Owners” can view this option in the Lodging app; “Employees” will not see this menu option. Processing the Refund will place the refund transaction in the current day’s open Settlement Batch, and the refund will be completed once the batch is submitted and closed later that day by the lodging clerk/manager. 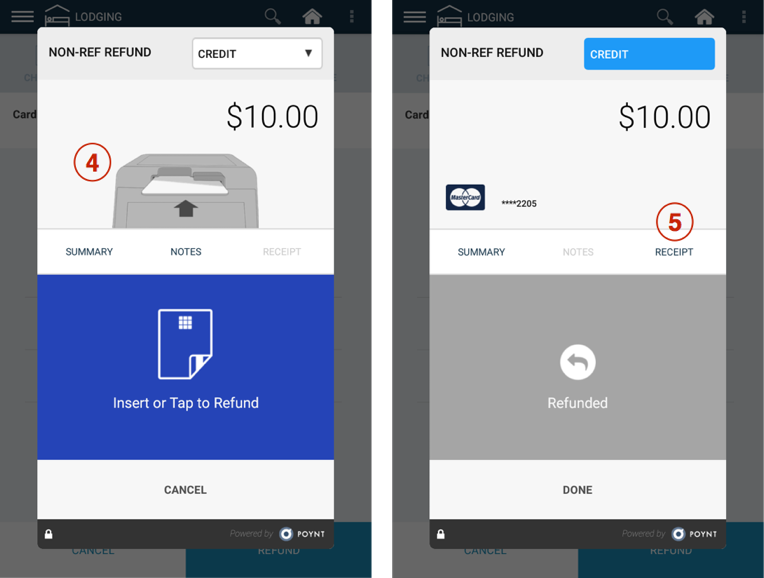 You will be prompted to provide a Refund transaction type (ie whether the transaction is for a Card Deposit, as an example). Tap Next. Insert / Swipe Card. Wait for the refund confirmation. You will see confirmation and also can choose receipt selection (email, paper, none or text). 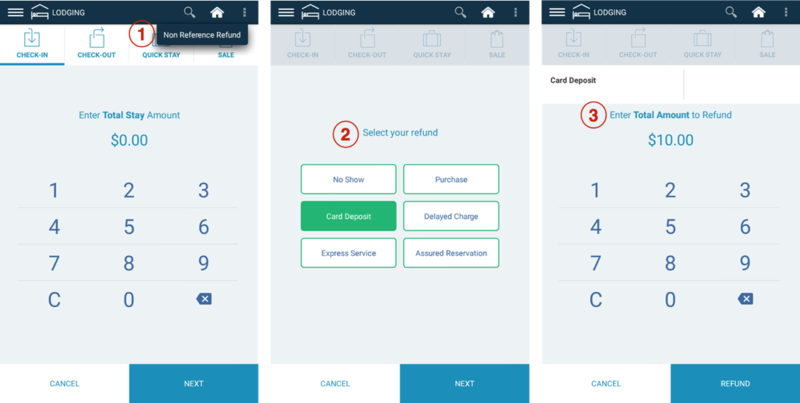 Option: You can also print out a receipt by tapping on the ‘Receipt’ tab. 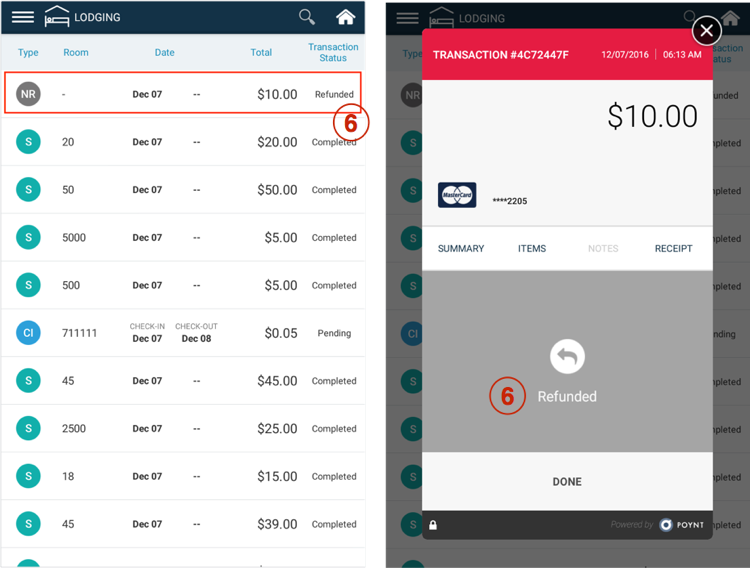 When the Non-Reference Refund transaction is completed, you will see the transaction record as “Refunded” in Details List, and the pop-up details for that transaction record will also show the transaction details.